According to Google, there are currently 100 million activated Android devices, and the user base is growing by leaps and bounds. 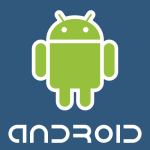 Each day, 400,000 new Android devices are activated. That’s the equivalent of 146 million new Android devices per year. Does that mean that one year from now, we’ll have 246 million Android devices? At the current growth rate, yes, but here’s the thing: Android’s adoption rate so far has been accelerating. With that in mind, Android should be even farther ahead in a year, especially if it takes off as a tablet OS – the iPad has given a big boost to Apple’s iOS numbers, so there’s no reason to think the same won’t apply to Android. The only thing that can mess with Android right now is if it ceases to be the darling mobile OS of the various mobile makers out there. If they for some reason decide to rally behind some alternative effort, for example Microsoft’s Windows Phone 7, that could spell trouble for Google. But at this point, how likely is that to happen? You have to think like the stockholders. Which other option did you think Nokia had honestly? Symbian is a dying platform. They tried very hard to change this, but after year after year of losing market, they had to put a new OS in their phones. So they eventually realized they will be doomed if they don’t adopt a new OS. Now here comes the interesting point that most people don’t see. Nokia needs to replace a platform, not just a OS. Android is not a platform if you take Google out. Its a platform for Google. Windows Phone is a platform for the PC and allot of other stuff. If Nokia decided for Android they would had the same cheap OS everyone else is putting in their phones. How is that an advantage? You don’t have a single feature that really differentiates you from the competition. This is why companies that adopted Android try to mod it so much. You cannot compete if everyone else has the same OS and software is important today in phones as people use their devices for more then just calling. There is not a single chance Nokia would go with a Google platform, Google is not a software company, they are a marketing company. 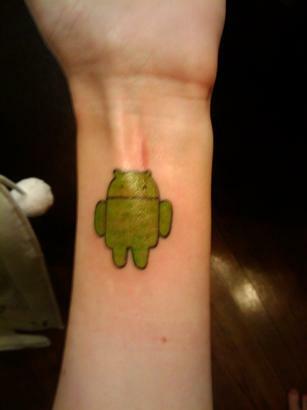 They give Android free to bring people to their platform. It has nothing to offer to Nokia. Nokia was in desperate need for something that is not an iPhone and is not Android, something new, that can compete and that is backed up by a company that can push a platform regardless of how much it will cost. How can you compete against Android with Android? It doesn’t make sense. Believe it or not, Nokia doesnt want to be one more of the “others” they want something new that can compete against others. Windows Phone was new, it works great, the UI is completely new, its not Android, or the iPhone, and its developed by the company that already dominated the PC market. So it was a safe bed. Did Nokia wanted this? Maybe not. They would probably more happier if their own OS would be a killed Android or a killer iPhone, but they dont have the time anymore. They need to move and fast. Not to mention the resources it would cost them to bring something new, they have failed every single year. It was not like they had an option. They need to put something new on Nokia users. And that will be WP7. 90% of people are not geeks. They don’t care what their phones run. If it works, looks good and is useful they will use any OS regardless of who builds it. I can bet you that most Nokia users today dont know what Symbian is in the first place. They dont care, they just have a phone. Everyone that used WP7 felt in love, so Nokia with this will have a clear winner.